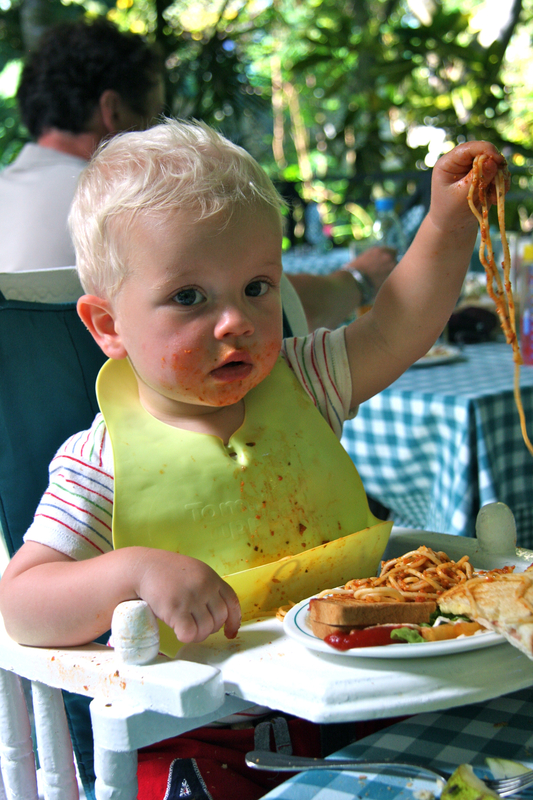 It doesn’t take much for kids to get their clothes filthy – be prepared for the inflight meal and take a spare set! 1. Spare clothes (for everyone! ): at some point in the flight, more than once if you’re unlucky, a child will be sick or have a leaky nappy or spill orange juice all over themselves. Or even worse, you. Spare clothes take up precious hand luggage space but you don’t really want to spend the remaining 6 hours of a transatlantic flight with wet trousers, do you? 2. Plastic carrier bag: at some point in the flight, more than once if you’re unlucky, a child will be sick or have a leaky nappy or spill orange juice all over themselves. Or even worse, you. Yes, I know, I said all that already, didn’t I? But I didn’t explain that you need somewhere to put the soiled clothes you’ve had to quickly shed. Cheap, rustly supermarket carrier bags are perfect in this situation – they’re light, they roll up small, and then they have two handles that you can tie together tightly to hold all gunky clothes safely in place until you reach your destination. 3. Child carrier/sling*: These are not just useful for tiny newborns. We recently took our 20-month old daughter to Spain and didn’t take a buggy. There were a few reasons for this: 1) she’s at an age where she likes to potter around, and we weren’t planning anything too stressful on holiday so could relax and let her walk at her own pace most of the time anyway; 2) our hire car wasn’t exactly massive and we didn’t think we’d fit all our cases, two car seats, 4 people and a battered old Maclaren in it; and 3) buggies might be useful getting to the gate in an airport but in my experience you never get it back until after the last of the luggage has been returned so have to cart a bewildered, tired yet restless toddler along 3 miles of airport corridor, prevent them from queue-jumping 200 people at passport control and finally try to stop them trapping their fingers in the luggage belt as moving bags of golf clubs simultaneously attempt to knock them out. The solution to all of these woes is to take a sling, in our case a much-loved, slightly shabby Ergo Baby Carrier. You can carry your baby or toddler all the way onto the plane in it (and no airline has yet counted it in our total carry on bag allowance), stuff it into the overhead locker and then have something to put them in the minute you land so they can’t escape. Plus they are usually much happier than when in a buggy as they are close to you and more secure so are better able to cope with the strange noises and lighting of unfamiliar airports at weird times of day/night. It also means that in addition to 16kg of child on your front you can carry a Trunki in one hand, hold the hand of an older child in the other, and carry a 10kg hand luggage rucksack on your back too. If you’ve ever wondered what it feels like to be a pack horse, try that combination and you’ll forever empathise with our equine friends :). 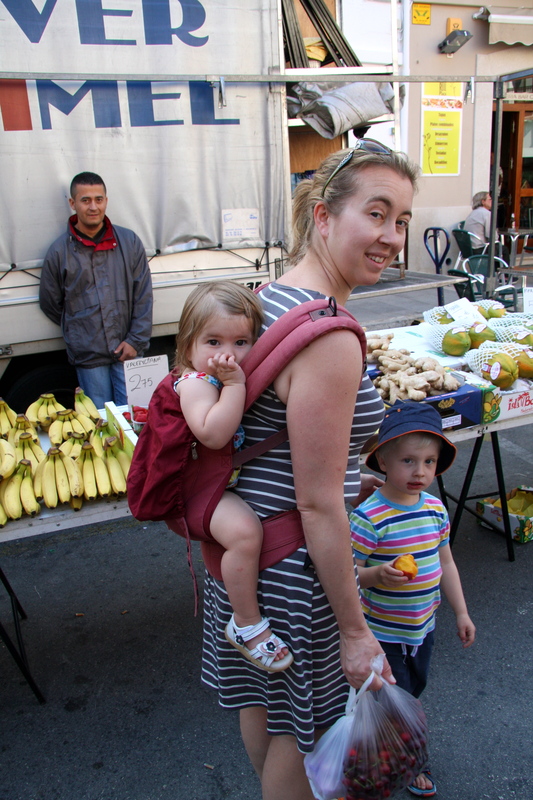 And once on holiday, a carrier like an Ergo (which can be worn on your front or your back) is easy to take with you for when your toddler gets tired or goes a bit too slow for your liking. It’s an essential piece of travel kit for our family. * Word of warning: we’ve never taken our framed Vaude carrier on a flight. I’m not sure if airlines would let you take these sorts of carriers as they are much less easy to fit in overhead bins than the soft carriers like Ergos, mei tais, wrap slings, baby Bjorns etc. Check with your airline before you plan to take one of these as they may make you check it in which would defeat the purpose of taking it. 4. 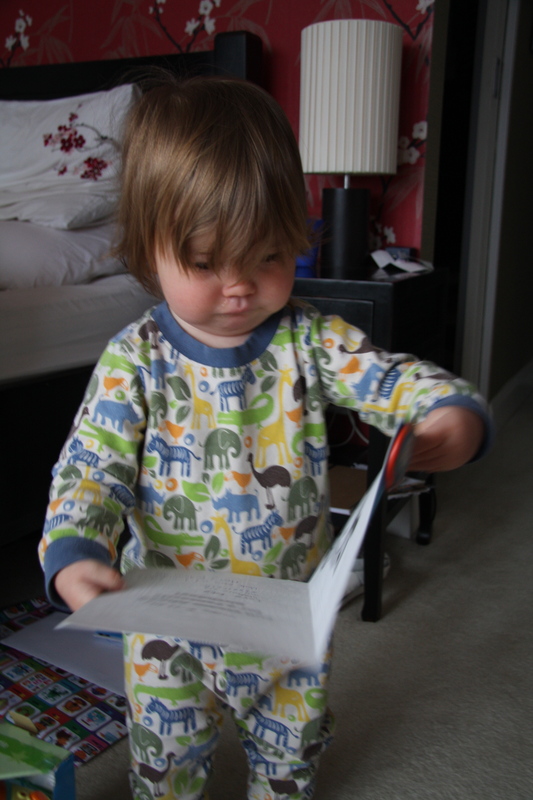 Pyjamas: If you’re on a night flight then chances are your children will sleep at some point. If you have pre-schoolers, the chances of them getting to sleep quickly are much improved if you replicate their bedtime routine as much as possible. So ours get taken to the toilet by one parent to clean their teeth, wash their face and change into their favourite pyjamas, while the other parent gets their cushions and blankets laid out and their stories and cuddly toys ready to snuggle up to and ‘do bedtime’. You don’t need to worry about changing the children until you’re through the worst of the airport. We just put shoes on as we get off the plane and then tend to take ours to the toilet for a loo stop/nappy change/teeth clean/clothes change in the down time between getting through passport control and the luggage belt being assigned. 5. Calpol in sachets: I don’t use/need to use Calpol as much as some people to be honest, but there are times when I find it essential with small children. I always take some on holiday with me, and used to carry an invariably half-full slightly sticky glass bottle of the stuff on flights with me because I wanted it to hand just in case, and didn’t want it breaking in the suitcase over all our clothes. I was therefore stupidly pleased when I discovered that Calpol came in sachets – ready-mixed (no shaking needed) 5ml sachets you don’t even need a spoon for (because if you’ve remembered one you’ll invariably find you’ve lost it in the bottom of the Trunki somewhere). And they’re less likely to break and leak than a glass bottle. Bring a few sachets on board in case your children need it mid-flight (check the dosage for their age beforehand as older children tend to need 2 sachets per dose) and put a few more in your suitcase. Nurofen also do sachets if your children do better with that. This entry was posted in Tips & ideas and tagged ergo baby carriers, family holidays, flying with kids, hand luggage, travel. Bookmark the permalink. brilliant post! i’m researching as we are flying with an 18 month old in a couple of months. Thank you for hte tips, we will definitely be using them!